Welcome to Episode 47 of HubShots! 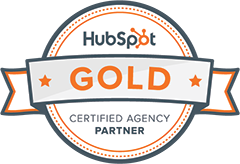 Looks like you can manage the editorial process all within HubSpot! Craig’s comment: seems a bit underwhelming at this early stage, will be interesting to see how it develops from here. Like how it will paste from Google Docs and clean up the formatting. Big agency work is going to be under fire from smaller agencies. For all of their ‘research’ they often miss big players in the market if they don’t understand the industry well. Understanding your customer’s industries is vital and can’t be substituted with general research. If you have an intimate knowledge of your business and industry this gives you a distinct advantage over other companies that enter the market and rely on outside research. Set attainable visit, lead, and customer goals. Determine a timeline (if applicable). Do we allocate time to think & plan?